Leave It To Me Quilting! Offering professional longarm quilting services. on my longarm quilting machine. For those of you who do not know me, I will begin by telling you a little about myself. I began quilting in 1986 when I received some quilt tops that my husband's grandmother had left. I soon began making my own quilt tops and hand quilted them for 10 years. Like most quilters, I soon had more quilt tops than I could ever hand quilt so I took my first machine quilting class and quilted on my domestic sewing machine for a while. I finally purchased my Gammill Optimum Plus Longarm machine and started quilting tops for other people as a full time business in 2005. I have taken over 65 longarm quilting classes from recognized experts in the longarm quilting field. I do free form all over designs, pantograph designs ( a.k.a edge-to-edge and all over) and custom quilting on pieced quilts. I have many patterns to choose from. I am a member of the International Machine Quilter's Association, and the International Quilt Association. I am also a proud member of the National Society of the Daughters of the American Revolution. 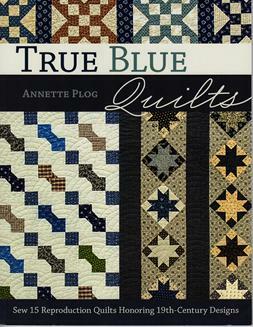 Please see the information below regarding eight books that my quilting has been published in. I no longer accept T-shirt quilt tops to be quilted. The newer polyester jerseys, heavy embroidery work, thick plastic coatings, and ornamentation such as braiding causes so many tension issues that it is no longer a profitable category for me. I also do not accept embroidery or applique quilts for custom quilting. I live in the Dallas/Ft. Worth, Texas area. I hope you will consider me as a partner with you in finishing your quilt top. I am by appointment only. The best way to reach me is by email. More than 150 years ago a pioneer family left a sign on their Kentucky door reading "Gone to Texas." As did so many of their generation, Robert and Lizzie Carpenter packed up their belongings and headed West to find a better life. They chose the North Central Texas prairie to set up housekeeping. And, it was here, on their newly built homestead, that Lizzie began writing her journal, which she kept from 1857 to 1882. Chronicled within its pages are the details of pioneer life - including her deep love for quiltmaking. 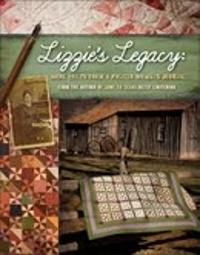 In 2007, Lizzi's great-great granddaughter and award winning quiltmaker and historian, Betsy Chutchian, discovered the journal, now housed at Haggard Library in Plano, Texas, and was delighted to discover they shared a common passion for quiltmaking. 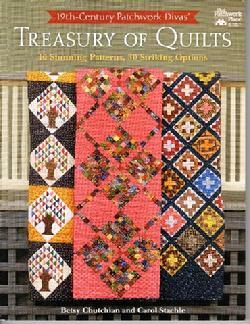 I had the honor of quilting eight of the twelve quilts in this book. Inspired by their love of antique quilts, the Texas-based 19th-Century Patchwork Divas is a block exchange group that recreates quilted treasures of the past with 1800s reproduction fabric. The group's co-founders, Betsy Chutchian and Carol Staehle, have assembled a captivating collection of quilts from past block exchanges in this book. The 19th Century Patchwork Divas have displayed their quilts in specials exhibits at the International Quilt Festival in Houston, and then traveled to Chicago, Pittsburgh and Long Beach. They have also displayed at the Quilter's Guild of Arlington, TX and The Trinity Valley Quilt Guild quilt shows as well as the Rocky Mountain Quilt Museum in Golden, Colorado. 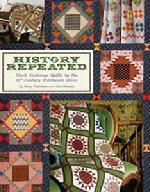 I have the privilege to quilt for several of the 19th Century Patchwork Divas and I quilted 16 of the quilts in this wonderful book. "From frontier times in the Republic of Texas until today, Texans have been making gorgeous quilts. Karoline Patterson Bresenhan and Nancy O'Bryant Puentes documented the first 150 years of the state's rich heritage of quilt art in Lone Stars: A Legacy of Texas Quilts, 1836-1936 and Lone Stars II: A Legacy of Texas Quilts, 1936-1986 . 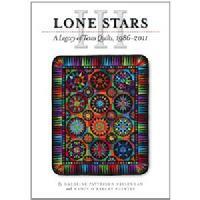 Now in Lone Stars III , they bring the Texas quilt story into the twenty-first century, presenting two hundred traditional and art quilts that represent "the best of the best" quilts created since 1986. (Series Charles N Prothro Texana)"
I quilted The Triple Four Patch for my customer Marilyn Mowry on page 298-299. You can purchase this book from www.amazon.com. 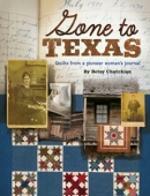 Once again, Betsy Chutchian, award-winning quiltmaker and author of Gone to Texas, lets us in her great-great grandmother’s life and shares more of her journals written over a 25-year period from 1857 to 1882 – stories that capture the spirit of life on the Texas prairie. Included are 14 projects inspired by Lizzie’s writing that illustrate pioneer life – friendship, chores, the help and guests, insects and pastimes. 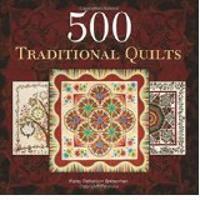 I feel privileged have quilted several of the quilts in this wonderful book. 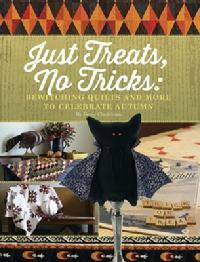 A colorful patch of pumpkins, a fanciful bat make-do pincushion and more cast a bewitching spell in this celebration of autumn joys. Whether you love fall for its warm palette of hues or its festive celebration of Halloween, you will find the perfect project to warm your home throughout the season. Designer Betsy Chutchian has assembled a diverse array of creative treats, including quilts, a striking orange-and-black diamond table runner and whimsical wool appliqué chair pads.